Shawn Mendes is forever a proud Swiftie. 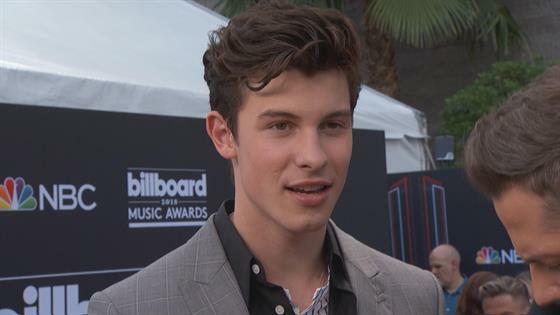 Before taking the stage at the 2018 Billboard Music Awards Sunday night, the "Youth" singer appeared on the red carpet where he looked back on his unforgettable month. In fact, this past weekend included a surprise performance at Taylor Swift's reputation tour. "Unbelievable. It was awesome to be back and be with her," he shared with E! News' Jason Kennedy on Live From the Red Carpet. "It's a very different thing to be brought out, special guest from opening. Unreal, man. I wish you could experience what it feels like." During Friday night's show at the Rose Bowl in Pasadena, Calif., Shawn and Taylor performed "There's Nothing Holdin' Me Back" in front of 60,000 screaming fans. Selena Gomez and Troye Sivan would make surprise appearances at Saturday's tour stop. While in Las Vegas for the star-studded award show, Shawn is expected to perform a song from his upcoming self-titled album out May 25. The project includes a collaboration with Khalid titled "Youth." "We've been really good friend for a couple years and we got together talking about doing something really important and to write something very important," he explained. "I'm so excited to do it with him. It's a really special performance [tonight]." As for his album release, Shawn is looking forward to having fans across the country hear his new songs. And yes, he'll be hitting the road soon allowing music lovers to hear the tracks live. "You have to think all of the time, effort you've put into making it. Be like, okay. Now it is going to come out. Let's go really, really hard for three weeks. Travel the world and show people the album," Shawn explained. "Because that's really what you want and it's fun. I'm going through a fun period now."